The aftermath of a car accident if not death, is a long and painful recovery period usually accompanied by emotional and mental distress. 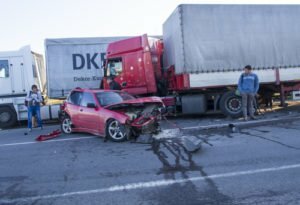 The sad part of this reality is that many car accident victims are not adequately compensated for the trauma, pain, and loss. The only solution is to hire a skilled auto accident attorney in Azusa, CA to represent you. Contact us at Rawa Law Group when you need to hire a car accident attorney in Azusa, CA to be sure that you stand a chance of getting compensated. At Rawa Law Group we have a collective team experience of over 20 years of winning compensations for Azusa claimants. Our skilled and experienced auto accident attorney in Azusa understands all the pressure points and takes ample time to go over your case(s) to ensure that your case is given maximum priority with a personalized representation. You strive to give you a befitting closure you deserve by getting you the maximum legal benefits applicable. Most auto accident victims are usually wary because of prepaid legal fees, but with Rawa Law Group you can rest assured that our legal services do not require any upfront costs, and we only get paid when you are compensated. We have been a top rated law firm offering stellar services for over a decade and have won compensations to the tune of hundreds of millions of dollars for Azusa claimants. Take advantage of our FREE evaluation and call us today to request a professional auto accident attorney in Azusa.